The most notable IPR innovation award of Finland, granted by the IPR University Center, was given to IPRally. IPR University Center of Finland grants an award for a remarkable innovation in the IPR field each year. For year 2018, the award was granted to IPRally for their artificial intelligence based patent search service. 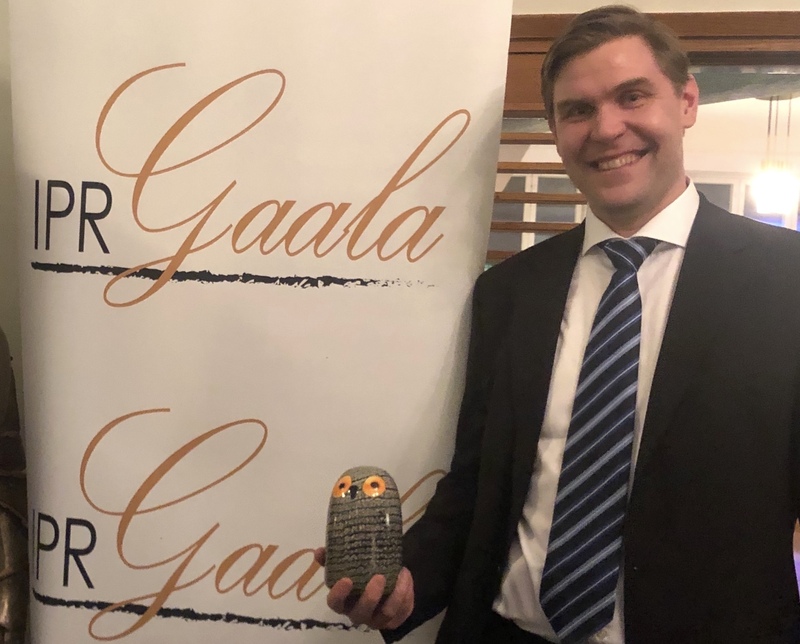 The award is based on public voting among the Finnish IPR community and was handed over in the IPR Gala held on 18 January 2019. In the past years, the award has been received by the Finnish Fashion Law Association, a collaboration project between Aalto University and the Finnish Patent and Registration Office and Greip IP service. In the Gala, IPRally’s CEO Sakari Arvela thanked the community for the recognition and the whole IPRally team for taking the challenge of driving change in the very traditional intellectual property industry. He also emphasised the importance of co-operation between small and large businesses, as well as the private and public sector, in the transformation of the IPR field. In Finland, the atmosphere seems to be very positive right now, he also noted. Antti Riivari, Director General of the Finnish Patent and Register Office was granted the IPR act of the year award and Marja-Leena Mansala was awarded for her lifetime achievements as the IPR person of the year. 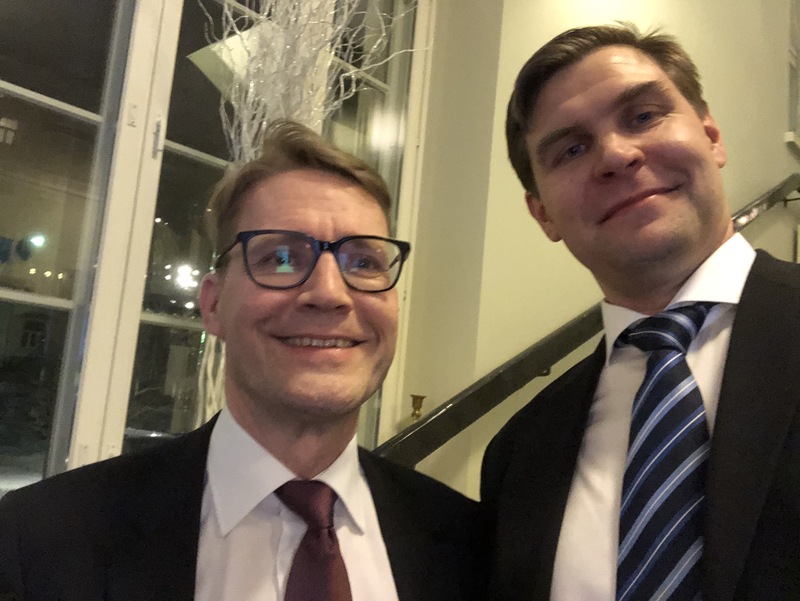 Antti Riivari, Director General of the Finnish Patent and Registration office and IPRally's CEO Sakari Arvela at the IPR gala on January 18, 2019. IPR University Center is a joint institute of six Finnish universities with a mission of coordinating and promoting education and research connected to intellectual property rights.